Jokes were silently exchanged, accompanied by half-suppressed chuckles as the audience in a packed seminar hall watched the next slide was projected onto a big screen: “Politically exposed persons”. It was about three hours into a day-long conference when Malta’s money laundering reporting officers moved on to the section detailing how “it is one thing if your client has been the mayor of a small village, it’s another if he ran a large region or country”. The carpeted and dimly-lit hall in the St Julian’s hotel where the event was held was stuffed full of gaming, legal services and investment professionals. The Financial Intelligence and Analysis Unit received hundreds of questions from operators in the business during the two days of training with the industry last month. The seminar was held as a sort of final consultation on the proposed changes to the Prevention of Money Laundering and Funding of Terrorism Regulations that came into force on Tuesday. Back on the projector screen, international dictators have been cut and pasted together like a montage of cartoon villains on a child’s pencil case. “Again, it’s one thing if you are servicing one of these chaps, it’s another if you are servicing all of them,” Jonathan Phyall, from the FIAU’s legal office, said as he flicked through his presentation on ‘risk’. “I’d like to see what they would have to say about some of our competitors’ client lists then,” the balding man in the blue pin-stripe suit said again. On the speaker’s podium, FIAU representatives were dishing out top tips for industry players: review client risk profiles as often as possible, ideally every six months. There is no clear definition, the seminar hears, on who is a PEP and who is not. Instead, there is an indicative list. Aside from an exhaustive list compiled by international bodies, the FIAU informs seminar participants that, in its view, the list should also include ministerial chiefs of staff, permanent secretaries and other offices like the police commissioner. Clara Borg Bonaci, from the unit’s legal office, goes through templates of structures used to conceal ultimate beneficial ownership. Ownership, she says, can be concealed behind layers that can include voting rights. Instead of montages of famous banking ‘baddies’, her slides feature diagrams of companies holding companies that hold other companies and conceal ultimate ownership through structures of partial voting rights. The presentations roll on and so too do the questions – some sent in through an encrypted network with others taken from the floor. The seminar then moves on to its next section: high risk jurisdictions. Times of Malta reported last month that, according to a previously-concealed national risk assessment study, the island was at a high risk of being used for money laundering and at a ‘medium-high’ risk of terrorist financing. The 2017 assessment found Malta to be at a ‘high’ risk of receiving foreign proceeds of crime and a ‘medium-high’ risk of local crime. 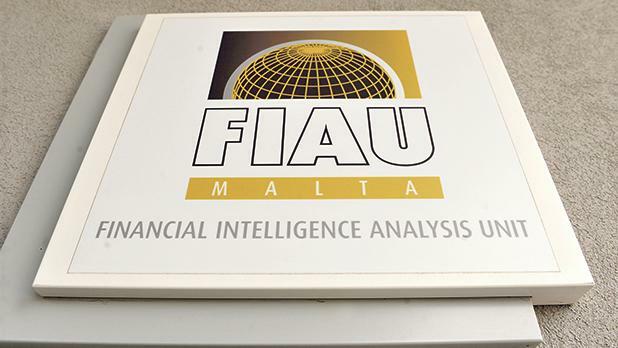 Asked on the fringes of the seminar whether Malta was a ‘high risk jurisdiction, FIAU deputy director Alfred Zammit said that was determined by international bodies and was also “subjective”.